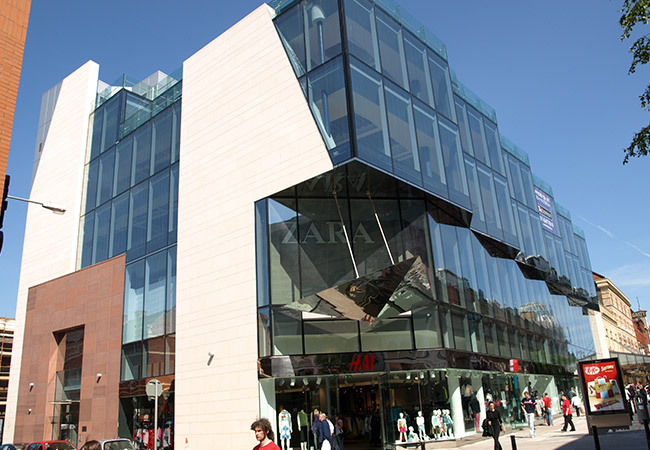 Located just off Grafton Street, the Gaiety Centre is a mixed use commercial development comprising of fashion stores, offices and residential useage in a six storey, over a double basement layout. To maximise transparency and visibility of shops on all levels this façade is totally glazed with facets at higher levels. This development was delivered at high speed on a constricted site with an adjacent protected structure. Schuco FW 60+ SG façade was modified to suit the architectural design intent. 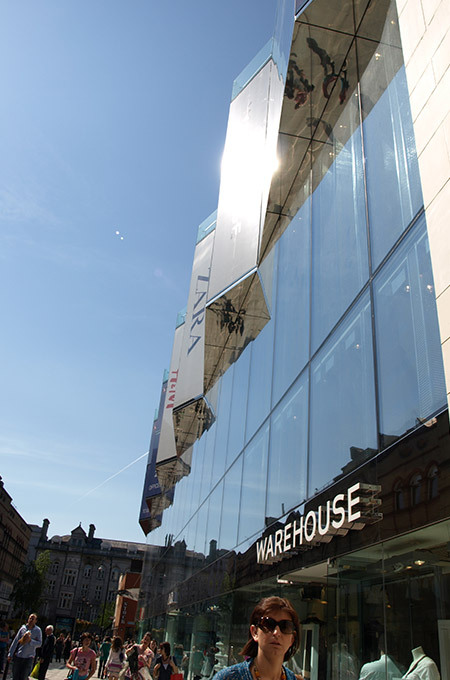 Bespoke mirror polished 316 stainless steel cladding was used for the main entrance and glazed canopy with an integrated glass fin balustrading to the top level of all curtain walling. 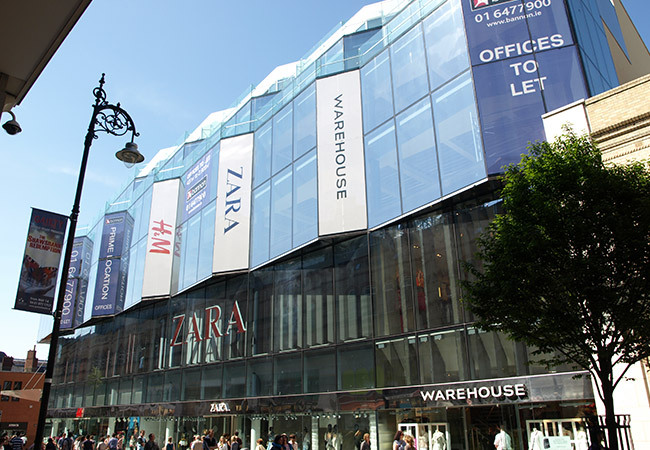 Internal Fire rated atrium curtain walling extends to three floor levels. A three storey planar glass wall, double glazed, supported by glass fins form the main structure.